Several hedge funds have increased their stakes in Citigroup (C) recently, and while this news may not be big in the grand scheme, it seems to be a step in a positive direction for stockholders, as news Wednesday out of New York says that the major commercial bank is launching its Client Segregation Transparency Initiative, which is designed to ease client concerns about the security of their money in the wake of recent events through the market. This new program will give clients daily access to collateral holdings in both futures and over-the-counter, as well as locations of custodians and a breakdown of collateral investments, according to a Citigroup press release. The company’s plan is in response to a recent reported trend that clearinghouses have been unable to account for millions of dollars in collateral funds from clients – think MF Global – which has sparked customer concern for the safety of their money. 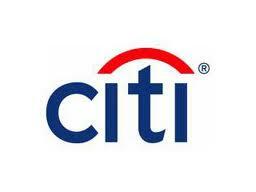 In response to this announcement, Citi stock has edged up 1 percent intraday Wednesday to more than $26. This move, at least at first, may prove beneficial for hedge funds like Bill Ackman’s Pershing Square and James Dinan’s York Capital Management. Pershing had nearly 12 percent of its portfolio invested in City as of the end of March (about $955 million), while York had increased its interest by 96 percent in Q1 of 2012 to a value of $322 million. “While we anticipate further reform relative to client asset protection on the horizon, we are pleased to offer this level of transparency to our clients now as we believe this will be the next step in the continued evolution of client asset protection regulation,” said Christopher Perkins, Global Head of OTC Clearing at Citi in the company’s press release.